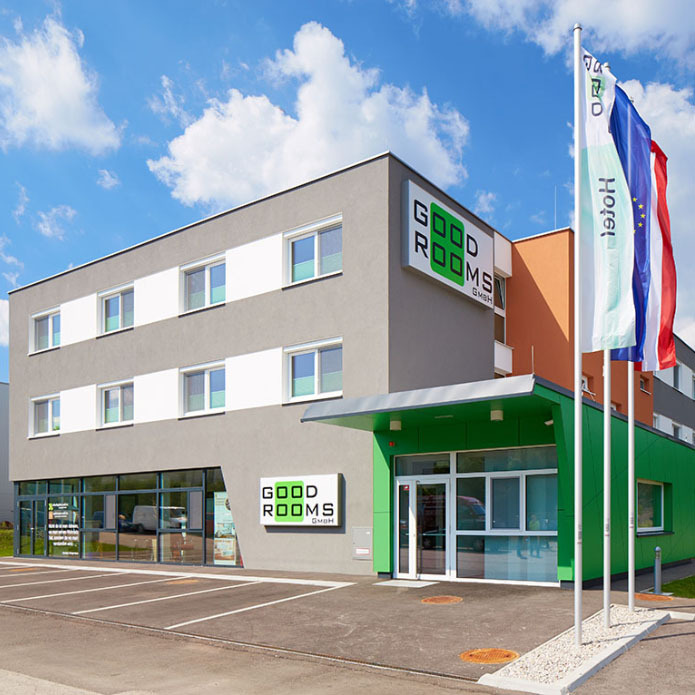 Good Rooms Guntramsdorf is an ideally located smart budget hotel in a perfect location, just 10 km south of Vienna. The hotel is situated in a quiet parallel road running parallel to the street „B17“, so the ideal making for the perfect combination of recreate possibilities leisure choices and excellent traffic connections are achieved. Shopping possibilities, fitness studios, gold courses, hiking and cycling routes, cinemas, natural swimming ponds, culture and many more activities to choose can be found within close distance! 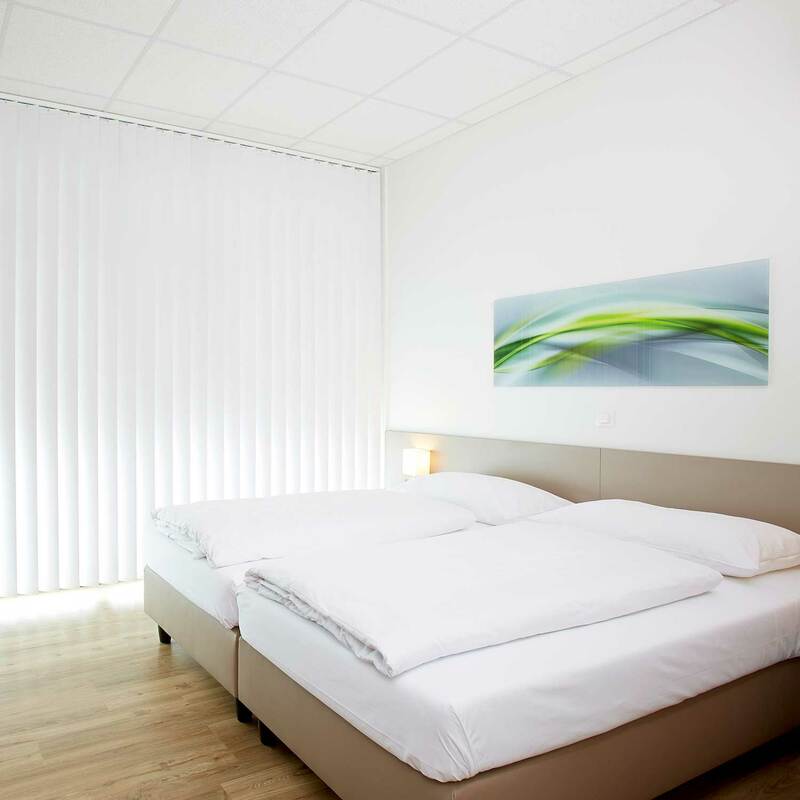 The ideal location of the hotel allows our guests to easily reach Vienna, Baden, Mödling and the shopping center SCS by public transport or by car in a very easy way. Good Rooms Guests have very comfortable rooms provided. Every room is equipped with shower, WC, 32-inch satellite TV and W-Lan. Furthermore, Good Rooms guests have free parking area in front of the house. 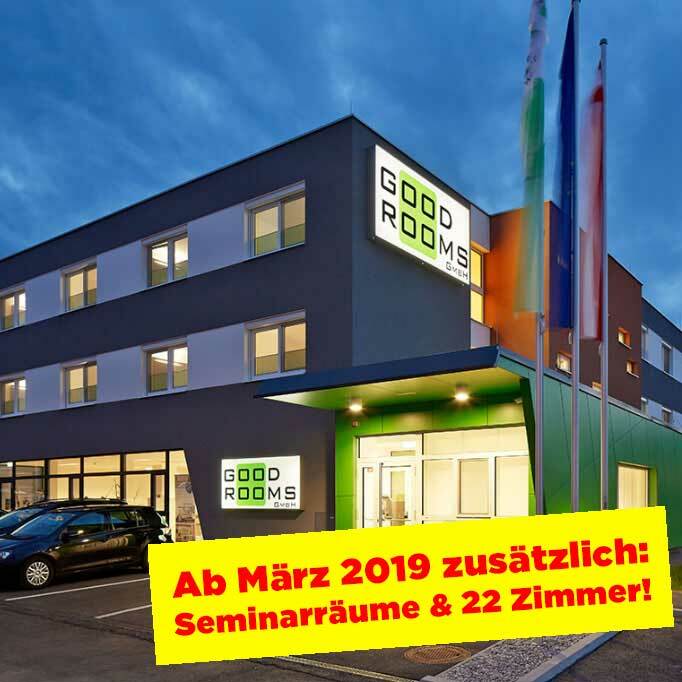 Starting March 2019 with new Meeting-Rooms (Seminarräume) and 22 rooms more! Hotel Good Rooms – at one view! You are welcome to send us your special requests or requests. We will write back to you as soon as possible. Please provide your name and contact details for a quick processing.